This book is an interesting, thoroughly researched, and well-written case study using a multidisciplinary approach, involving both biophysical and social sciences, in addition to integrated views of researchers, policy-makers and farmers. It covers an important research topic, given the high and increasingly wide-spread malnutrition and famine, degradation of eco-systems, with recession of forests and pastures, and wind erosion of vast quantities of soil in the drylands. Overall, the book provides valuable new information of the lives of rural people in general; the success of local people's priority tree species most apt to halt and reverse land degradation, generate income, catalyse more sustainable land-use practices, and enhance increased and sustained food production. 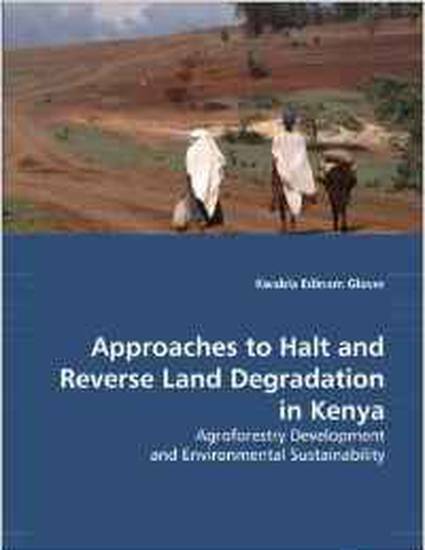 This book is especially useful for environmentalists, research scientists, extension agents, consultants, policy-makers and planners dealing with issues in natural resources management, land use change, and sustainable restoration and rehabilitation of degraded ecosystems in arid and semi-arid lands.